A white supremacist pleaded guilty Monday in federal court in Toledo to mailing a hangman’s noose to the president of the Lima, Ohio chapter of the National Association for the Advancement of Colored People, the Justice Department announced. 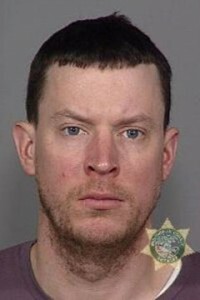 Authorities said that white supremacist Daniel Lee Jones, 33, of Portland, Ore., admitted mailing the noose to NAACP local chapter president F.M. Jason Upthegrove in February of 2008 to “convey a threat or injure” Upthegrove, who was an African-American, who pushed for improvement police services for blacks in Lima, Ohio. The indictment stated, according to authorities, that Upthegrove publicly spoke out in the media against Jones’ hate group that mailed flyers about an African-American woman who was shot by the Lima Police Department. Jones, who was reportedly the regional director of the American National Socialist Workers Party, a neo-Nazi group based in Roanoke, Va., faces up to five years in prison. “Sending a noose is a threat that harkens back to some of the darkest days of our history. We simply will not tolerate such actions any longer,” Cleveland U.S. Attorney Steven M. Dettelbach said in a statement. Posted: 5/17/10 at 11:40 PM under News Story.